Visitors sit inside a Lada Vesta car, Moscow, March 14, 2016. 2017 is the year when Russia’s top carmaker returns to the Caribbean island after 12 years away. But experts are skeptical whether the impoverished socialist nation can become a major market for AvtoVAZ. In May, Russia’s leading automobile manufacturer AvtoVAZ plans to deliver a batch of about 300 Lada cars to Cuba, said the company’s president Nicolas Maure, speaking at an AvtoVAZ presentation for Cuban transport companies in Havana, reported TASS. "Last time we sold Cuba new cars was 12 years ago, and so the question now is how we can return to this market," said Maure, adding that for now it’s just two models - Vesta and Largus. "AvtoVAZ is interested in Cuba's car market because there’s big demand here; moreover Cuba’s ban on imports of new cars was lifted relatively recently," said Yevgeny Yeskov, chief editor of the website AvtoBusinessReview. For half a century the bulk of the local car market consisted of secondhand American and Soviet cars. Cubans know Russian cars, and this works in AvtoVAZ's favor, added Yeskov. The first cars to arrive on the island will be at the disposal of taxi, rental and tourist companies. If the trial run is successful, and Cuba decides to buy more Russian cars, then a contract can be signed as early as 2018. The test batch of 300 cars will make it clear how to develop car exports in the future. "Most likely, this volume of new cars seems optimal to begin with and then everything will depend on sales results," said Yeskov. 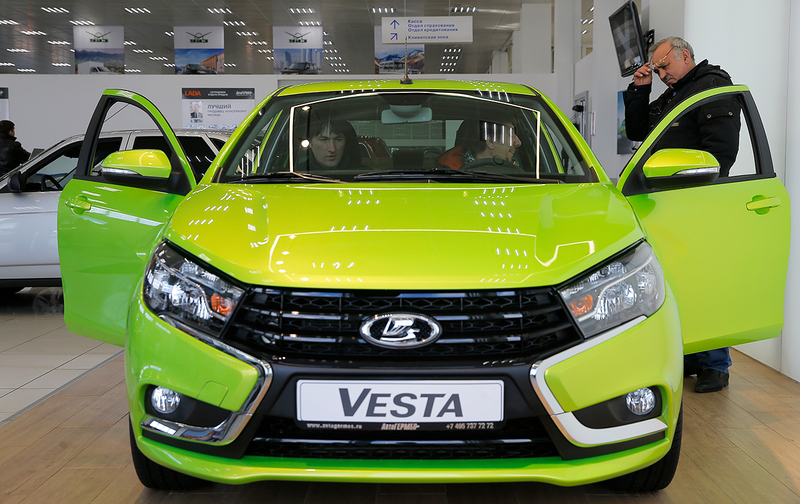 According to Lada.ru, the average retail price of a Lada Largus on the Russian market is 600,000 rubles ($10,000), and for a Lada Vesta the price is 640,000 rubles ($11,000). Income levels in Cuba, however, are very low and few residents can afford a new car. "In the long term, Cuba could become an important market for AvtoVAZ but not its main one because sales volumes are unlikely to meet the manufacturer's export needs in full," said Yeskov. In 2013, Cuban authorities ended the ban on imports and retail sales of new cars, which had been in force since 1959. Until then, Cubans could only buy and sell used cars, and only to each other. A small number of imports, however, were supplied to the island from the USSR and socialist bloc countries, but they mainly consisted of trucks and ambulance or fire-fighting vehicles.